Here’s the cover — and title — of Spy School 7! Well, this has been quite a week for exciting news. First the movie deal for Spy School. Then the release of the Top Secret Spy School box set. And today Spy School hit the New York Times bestseller list again. Plus, I still have that series info to divulge. Sorry I haven’t done that yet. My publisher told me I would be able to do it soon — and yet they still haven’t made their big announcement yet. Which is as frustrating to me as it probably is to you. But maybe this will tide you over. I just found out from a post on my own website that my publisher has released the new cover on Amazon and Goodreads. Which means that it’s not a secret any more and I can share it. Amazing, isn’t it? Yet another masterpiece by Lucy Cummins. Superspy middle schooler Ben Ripley is finally going to take SPYDER down, once and for all in this latest addition to the New York Times bestselling Spy School series. As usual, this is all I’m going to share about the book. Because answering any more questions about it will ruin the fun of reading it. So please don’t ask me any questions about SS7. If you do, I will simply refer you right back to this page and ask you to read the whole thing again. It comes out May 7, 2019. That’s less than a year away. less time than you normally have to wait for a Spy School book. UPDATE: Even though I said no questions, at least a dozen people have written to me with the exact same question, so I’m going to answer it to make this clear: THIS IS NOT THE LAST BOOK IN THE SERIES. If Ben and his friends defeat SPYDER (and I’m not saying they will) why would that end the series? There are lots of other potential bad guys out there. Wow. This Kelly B guy is so rude. Here is a comparison that my friend and I wrote. It compares the two great fantasy epics, Harry Potter and Lord of The Rings (my favorite book series of all time BTW). Elite Z stole our fanfiction account. No one but him has access to it. He didn’t write much of the book, but now only he gets the credit. I’m saying this here because I’m trying to reach him on all platforms. To tell him it’s not OK.
Elite Z stole our Fanfic. I’m trying to reach him on all platforms. He now takes ALL of the credit. If anyone’s going to read it, use this like. And Tell Elite Z that stealing other people’s work is NOT OK.
How long does it take to write a book? Like, including the first draft. The whole book. I don’t mean how long it takes for it to be published. Just writing the story. An author came to my school a few days ago – James Phelan – he said it takes about three months. His books aren’t that small. Hi, my name is Joshua (did you copy my name 😉 and I would like to talk about the climate change issue. 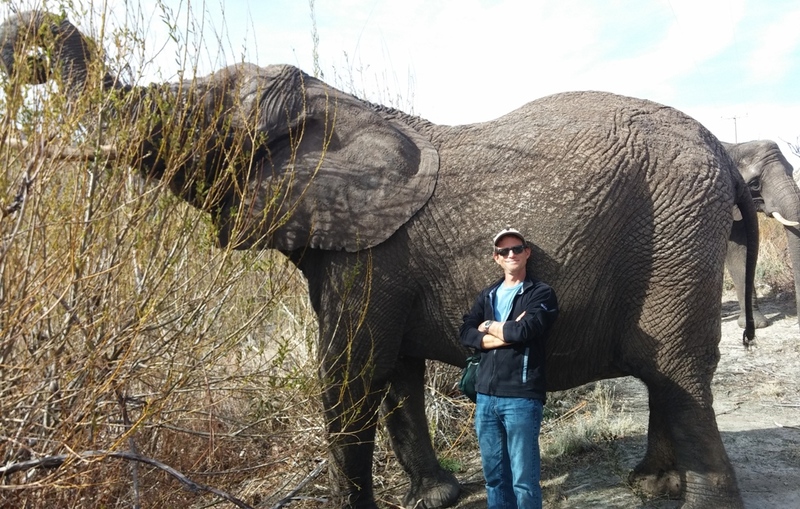 My mother is a climatologist (studies climate change) and IT IS HAPPENING because of humans. I read the part to my mom and she said you must have really done your research because it is true and is happening. Some may argue that it is not or that is part of the universe. Yes, there are some parts (a little bit) happening naturally but most of it is because of humans and our carbon footprint we are leaving on this Earth. It is happening naturally to some degree, but it is happening at a rapid pace because of humans. Kelly B- I don’t think it’s great that you are influencing your kids opinions. Even though I am only 14, I believe that now, with such contradiction issues in the media and politics, it is even more important for your kids, with the right facts, to make their own choices about this stuff. But just FYI, climate change is real and it pisses my mom off when someone says otherwise because they are just denying and trying to avoid this serious issue. But whatever, you do you. Mr. Gibbs-It’s totally okay to put your opinions out their, especially if they are TRUE. Since the next book is already written, I can’t take any suggestions as to what might happen. Three months to write a book? I have never heard of any author saying that. I think about a book for at least a year, then take 3-6 months to do the first draft, them take another few months to do another few drafts. Most writers I know say about the same. Thanks very much for your input. And thank your mother for studying this important scientific issue. It is not okay to steal other people’s work. It is NOT cool to steal other people’s work and get the credit for it. is mister E erica because erica starts with a e? Kelly B is just so wrong about that. I simply forgot about the fanfiction when I changed the account name. The SG book server switched to an all book server and I forgot all about the fanfic. I removed it from my account so that I don’t take the credit and the other people who will continue to work on it have uploaded it on the new SG discord account. Everything is ok guys. Calm down. Mr E’s identity is classified. Has any1 else read armada? That’s true Stuart (your previous comment about not being to write in Ben’s point of view). As for any others who responded, you are right about Erica not being able to show too much emotion, but things do happen in secret that might reflect outwardly, she could become COLDER, and more detached who knows? And thats what makes a cliff-hanger so good, Imgrate. Stuart, you doing a genius job with the relationships, and Mister E, Spyder is such a great boss and with the introduction of “evil” insurance, you broadened the villian margin a lot. I’m genuinely excited. Oh and one more thing. I don’t know if there is a specific answer to why they (Spyder) wanted Ben so much, because I don’t think the “talented agent” is the real thing. Maybe it is, and if so that’s alright, but I’ve always felt like there is a bigger thing behind him, because Cyrus’s question in the second book about why Spyder gets so riled up when Ben comes along has always been stuck in my head. And sure now, they deem him a threat, but the theorist/fan in me says no, there has to be some dastardly thing that Stuart’s written that blows us all away. Like what if he’s related to Mister E? Just kidding, but seriously I hope there is an answer. Elite, you forgot about TheGreat and Zach attack’s reviews on the review. If you’re talking about the novel by Ernest Cline, yes. But I prefer Ready Player One, another book by him. Is anyone else wondering what happened to nate mackey? Where did he go? He just kinda left after being introduced in SC. Unless he shows up in SSGS, I haven’t read it yet. But If Not, what happened to Nate Mackey? 1. How do you think of where the characters go? 2. HOW DID YOU MANAGE SUCH A GOOD SERIES?!? The deal with SPYDER continuously trying to recruit Ben for some supposed talent is still somewhat unresolved- but it’s great. Maybe Ben does have some talent, but SPYDER’s gone through a lot of trouble and risk to get him- and he’s refused 3 times. But in the same way he pretends to join them, they could pretend to need him, and in the meantime, use him to draw out Cyrus, or accomplish their schemes. I personally think it was a bluff. Reaching out to Ben has been too risky. Wow! I have not been on your website in a few months. So much news! Hopefully you get to make movies of the Spy School series, that would be awesome. I ordered Waste of Space, now I have to get the new Spy School book! I love your books so much!! 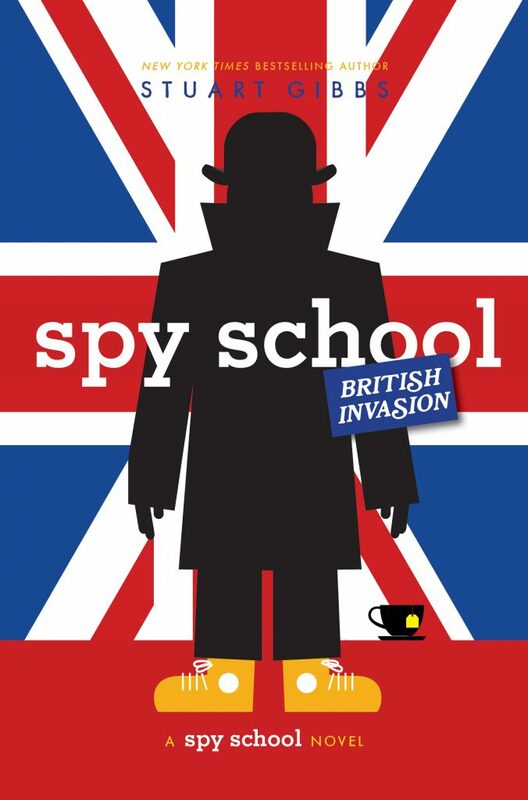 I love your spy school and funjungle series and am excited for the British Invasion book. I am wondering if you do author visits. Also, no progress seems to be being made between Ben and Erica. Are they not going to happen? Maybe Ben and Zoe? I’m a big fan of your spy school and funjungle series. I am wondering how many revisions/drafts of each book you usually make before you’re happy with it. Also, what’s the time span between you writing the first draft of a book and the final draft? I am looking forward to the British invasion book and seeing if Ben will finally defeat SPYDER. For ss7 is Cathrine going to get kidnapped and Ben has to savce her? Because if he succeeds that could give Erica great respect for Ben. Keep in mind thanks. I’m happy that this will not be the last book in the series! I am literally addicted to this series as I have read the books at least seven times. lol. How many more books in the series do you think there will be? P.S. Near the end of the series I think you should have some more Ben and Erica action. 🙂 Thanks for creating such an awesome series! It inspires me to become a writer! If that was bluff, then why would they have stopped trying to recruit Ben by SSSS? My name is not Jake, it’s actually Adam. Or maybe it’s Ted. Or Ben. Or Xavier. Or Jawaharlal. You may never know. I put a lot of thought into every book. As for ben and whoever he ends up with… all info about that is classified. Ten drafts on average. Approximately 24-30 months from inception to publication. SSBI is written, so suggestions can’t be taken at this point. I don’t know how many books there will be in the series. Glad to hear I inspired you. Ben is really really smart and repeatedly the only one capable of figuring out what SPYDER is up to. Don’t you think it makes sense that they would want someone like that working for them and not against them? Have you started writing SS8 yet? I have not started SS8 yet. repeating my question is there another reason behind SPYDER wanting Ben other than him always thwarting their plans? and if there is will you eventually reveal it? I was also wondering what college you went to and what colleges would you recommend for people like me who want to pursue their passion for writing into a career one day. also what courses did you have to take?